These chicken wings are the best and easiest to make! They make a great appetizer or with a dinner with fried rice. You will be pleasantly surprised by how easy and yummy these are. 2 heavyweight zip lock gallon size bags or a large bowl with a tight seal. Cut off the wing end, and cut wing in half. Rinse with cold water and drain. 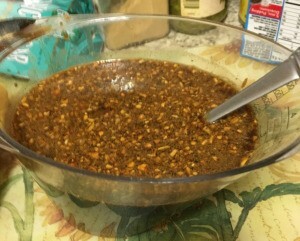 Using a 4 cup measuring cup, add soy sauce, brown sugar, black pepper, garlic, lemon juice and ginger. 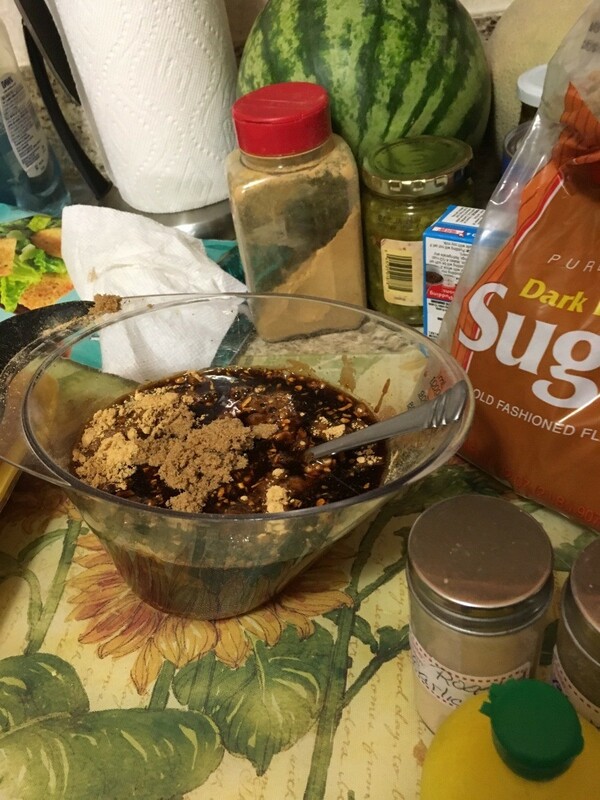 Stir very well until the sugar is dissolved. 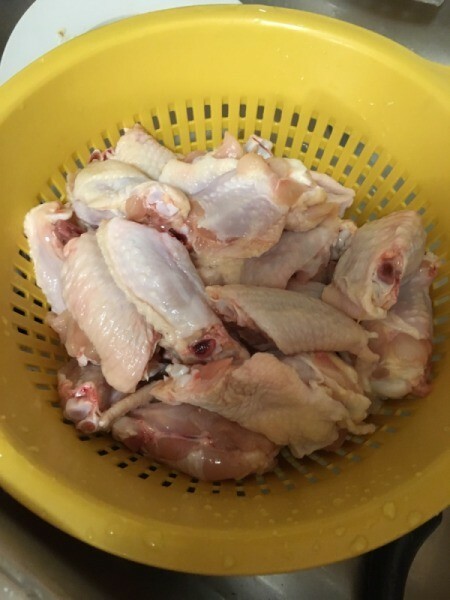 Put the wings in the bag or bowl, then pour your mixture into the chicken wings. Seal or zipper tightly. And shake it around to get it all mixed well. If using a bag, I double it. 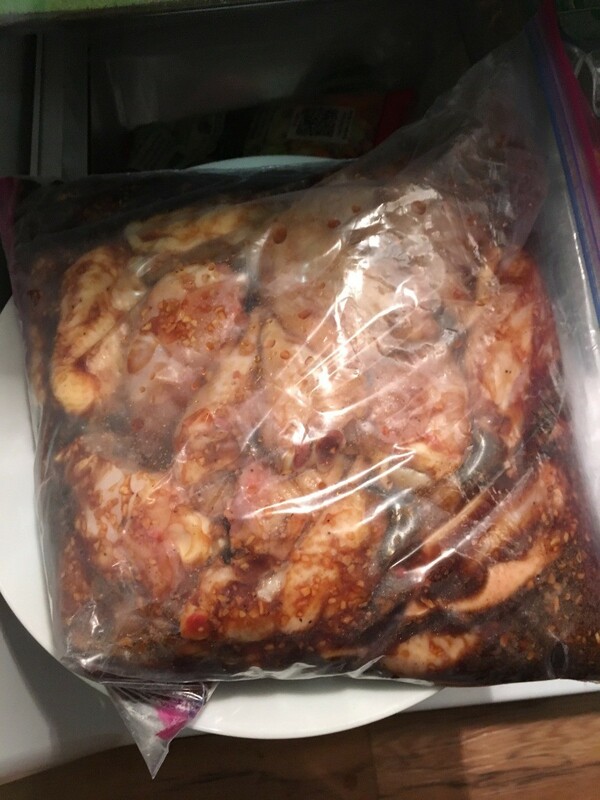 It now goes in the refrigerator for 24 hours to marinate. When its time to cook, preheat oven to 400 F. Spray oil the cookie sheet. Then using a slotted spoon, remove the chicken onto the pan in a single layer. Cook for about 30 minutes. Check one wing for doneness.